Werewolf Jacob. 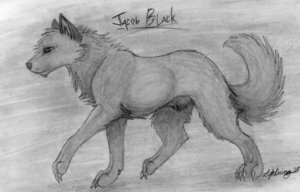 Drawings of Jacob in werewolf form. Wallpaper and background images in the 雅各布·布莱克 club tagged: jacob black drawings werewolf. awwww. that is a really good drawing. hey, you should be an artist and you could get some big bucks! I hate U and justin bieber!!!!!!!!!!! !